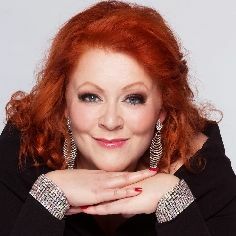 Finnish Soprano Miina-Liisa Värelä started the season 2018/19 with a big success as Senta in Wagner´s Der fliegende Holländer at the Finnish National Opera Helsinki. In January 2019 she made a celebrated debut as Elektra (R. Strauss) at the Landestheater Linz. Further plans include among others a debuts at the Bayerische Staatsoper München and in Glyndebourne. Despite of her young age she has already sung many Wagner and Strauss -roles. As Senta she has been seen at the Theater Bremen, Theater Lübeck, Lithuanian National Opera and the Finnish National Opera. In the spring 2018 she sung to the hearts of the audience and the critics as Sieglinde in Odense. Other Wagner roles have been Elsa (Lohengrin) and Ortlinde (FNO). In the beginning of the season 2017-2018 she made a very successful debut as Färberin at the Landestheater Linz with Markus Poschner. Her other Strauss roles have been Ariadne (Opera Box) and Chrysothemis (cover/FNO). Miina-Liisa has also sung Rosalinde at the Finnish National Opera, the role of "Lumi the Seal" in T-J Kyllönen's opera The Seal at the Savonlinna Opera Festival, Leonora/Il Trovatore at the Lahti Opera, First Lady/Die Zauberflöte at the Savonlinna Opera Festival, and cover of Emilia Marty/The Makropulos Affair and Jenufa at the Finnish National Opera. Other engagements have been among others Gurre-Lieder in Aarhus, Verdi´s Requiem (version for soloists and organ) in the Lemi Music Festival, Shostakovich’s Symphony No. 14 with Oulu Philharmonic Orchestra, soloist with Helsinki, Kuopio and Turku Philharmonic Orchestras, Mahler's 2nd Symphony with Ingo Metzmacher and the Finnish Radio Symphony Orchestra, Mahler’s 4th Symphony with Tampere Philharmonic Orchestra and Hannu Lintu, soloist at the Savonlinna Opera Festival gala-concerts. She is also an active concert and lied singer. Värela has appeared at many music festivals specially in Finland..
She won the Timo Mustakallio Singing Contest in 2011. In the summer of 2009 she was awarded with the 1st price at the Kangasniemi Singing Competition. Värelä studied at the Sibelius-Academy where she received her diploma in 2012 with excellent marks.